Today Donald Trump went after the press — HARD. RUSH: Well, that’s what you’ve all wanted. That’s what everybody’s been asking for I don’t know how long. That was a press conference. That was a press conference. 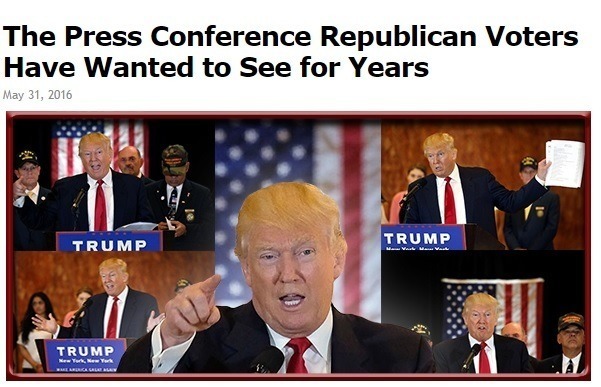 That was the kind of press conference Republicans voters have been dying to see for who knows how many years. … RUSH: Now, back to this Trump press conference, if you didn’t see it, if you didn’t hear it, we’re working on audio sound bites now. We’re an editor short today so we’ll get them up as quickly as we can. We only got one guy editing. When we have two guys editing it would only take half the time it’s gonna take now. “I don’t mind scrutiny. What I don’t like is lies. You can scrutinize me all day long but you set up false premises. You state things about me that are not true. Then you run stories on that. That’s why I’m out here trying to correct the record.” And then Trump says, “By the way, I’ve seen you, you’re among the worst. You’re at ABC, right? You’re the worst. You’re a sleaze.” And I’m thinking the people at home watching this — (laughing) ’cause, folks, in the age of internet trolling, manners are out the window. It’s a waste of time asking for manners here. Because, remember, in a war the aggressor sets the rules and I’m guaranteeing you that Trump thinks the media are the aggressors here.